Whether rotating glass lift, panoramic lift, external lift, ship lift or group of lifts – we will realise even the most unusual wishes of our customers. Actually, our bespoke lifts and shaft constructions are one-of-a-kind products, bearing all the marks of GBH Design with respect to design and aesthetics as well as quality and workmanship. All our lift systems, with rope drive as well as hydraulic drive, are manufactured in compliance with current DIN EN 81 regulations and national regulations. 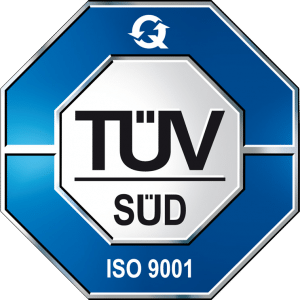 Testing, assessment, auditing and certification of each lift system are achieved by diverse TÜV organisations. Additionally, GBH Design is certified according to DIN ISO 9001:2015. Our special lift doors with underlying or overlying door mechanism, with linear or radial design, are type-tested according to EN 81-50. Technical masterpieces and aesthetic eye-catchers – both can be ascribed to our circular glass lifts. A technical masterpiece, and specific fun provide the rides in a rotating lift car made of glass. Individually, customized designed, fitted with the highest quality materials– our angular glass lifts can be described as a piece of art. Ein Highlight sind die 21 Glasaufzüge im lichtdurchfluteten Berliner Paul-Löbe-Abgeordnetenhaus. Not only in the specialized field of luxury yachts do we attach great importance to designing lifts that fascinate by architectural design, aesthetics appeal and functionality. As the name implies, special lifts have to meet special challenges with regards to technology and design. The highest free-running lift in the world is the Bailong Lift in the Chinese province Hunan.